The 1947 Catfish Fishing Secret Weapon Will Double Your Catches! People From All Over The World Are Using The "Catfish Fishing Secret Weapon" To Double Their Catches! The biggest channel catfish I have ever caught before was 4 pounds. A week after I started using your secret weapon, I had destroyed that record 8 different times! I hauled in "record breakers" of 7 pounds, 15 pounds 2 oz, 5 pounds, 9.5 pounds, 15 pounds 13 oz, and 8.5 pounds. Plus, I broke my all time personal best for any species of catfish by hauling in a 40 pound 10 oz monster! The area that I fish in is supposedly "fished out" because everybody complains they can't catch anything. In this same water, in a period of 7 days, I caught 24 channel catfish, 1 blue catfish, 6 blue gill over 1 pound (and hundreds of smaller blue gills for bait), 30 crappie, and 1 bass. The Catfishing Secret Weapon has made an amazing impact on the number and size of catfish I am catching. It attracts swarms of minnows, shad, and blue gill - which brings dozens of catfish into the area. The size of the fish I am catching are huge compared to everyone else (who are either getting "shut out" or wasting time catching blue catfish under 2 pounds). Check out the enclosed pictures as proof. Personal record breaking 40 lb. 10 ounce Catfish caught using the Secret Weapon! 15 pound 13 oz Channel Cat, using the Catfishing Secret Weapon! Dan's been getting amazing results catching Catfish with the Secret Weapon! As it turns out, this guy is an "old school" fisherman from Tennessee - and one of the guys that discovered this Catfish Fishing "Secret Weapon" in 1947. You see, a very small group of fishing insiders have kept the "Catfish Fishing Secret" out of the public eye for years. In fact, it is sold in only a handful of small fishing shops throughout the entire country. This is me, Dan Eggertsen, the night I discovered the Catfish Fishing "Secret Weapon"
"Right after, I caught this 35 pound catfish..."
This was the second time I used the Catfish Fishing Secret. I went to one of my favorite spots where I figured some fish were hanging around. Within 10 minutes of turning it on I had bait fish all around my boat. Right after that, I caught this big 35 pound catfish! I will never go fishing without your secret weapon! I have night fished just three times. The first two were before I owned the Catfish Fishing Secret. I caught a few fish, but nothing to brag about. In seconds after turning the Catfish Fishing Secret on, the minnows came out like crazy. I have never seen anything like it. I had a school of minnows circling the boat all night. There were so many it was giving me vertigo because it seemed the boat was spinning in the water, but it was just the constant flow of fish swimming around the boat. There is no doubt in my mind that your Secret Weapon works better than anything I have ever tried. Imagine being in the heat of the action, getting dozens of strikes - reeling in Catfish like crazy - and then you run out of shad, blue gill, or whatever bait you use! You see, if you use the "Catfish Fishing Secret Weapon" all you need to do is dip a small fishing net into the water to catch dozens of bait fish in seconds. Now you have natural live-bait that you can use to cast out there to catch loads of Catfish! Why do so many fish swarm to this little-known "Catfish Fishing Secret Weapon" from 1947? The "Catfish Fishing Secret" attracts millions of "zooplankton" like a magnet! In less than 20 minutes you will see millions of the zooplankton organisms in clumps all around your fishing spot! Can you guess what happens next? With the hundreds of bait fish swarming your spot - feeding like mad - the Catfish move in underneath to attack in a frenzy! All of the Catfish come to YOU! You fish underneath big ball of swarming bait towards the bottom, where the Catfish are gathered - and pull them in one after another - just like I (and the over 100 fishermen that are using the Catfish Fishing Secret) do! Just wanted to check in with you on your product. The internet is filled with a bunch of myths and lies, but the Catfishing Secret is not one of them. I went to Clear Lake, CA for a week. Once night fell on the first day I put the Catfishing Secret in water on afloating dock. Within 15 minutes about 6-8 small minnows appeared. Next day went to bait shop bought a dip net. Once it was dark I turned on the Catfishing Secret.....in about 1 hour there was a swam of bait fish....caught some live bait....put live minnow on hook.....a few minutes later I had a 4-5 lb catfish on. I went on to catch 8 Crappies in the 2-2.5lbs class. I had another 5 jump off hook and missed many bites.....it was absolutely awesome. At 11pm I have a great bite for a bout two hours until my only red head and white body jig was torn by a big Crappie. What a great time. Your product is awsome....I'll never buy live bait again. As a matter of fact, The "Catfish Fishing Secret Weapon" is such a powerful tool for fishermen (more than doubling their catches) that is has been banned in 2 states! If you fish in Arizona you will need to get permission from the department of fish and game before using the Catfish Fishing Secret. Remember, the "Catfish Fishing Secret" swarms hundreds of bait fish - causing a massive feeding frenzy in your spot... and it's not only Catfish that will be caught, but it works on almost every species of fish! Game fish (of any kind) will not be able to resist all of that food in one large area! Last night my friend and I used the Catfishing Secret Weapon for the first time. All I can say is WOW!!! Here is how it went. This is all absolutely the truth and can be verified with my partner. The Catfish Fishing Secret Attract?" You will swarm a variety of bait fish native to your fishing spot when you use the "Catfish Fishing Secret". I can't possibly list them all. The bottom line is, whatever natural live bait are in the area when you activate the "Catfish Fishing Secret" will come swarming into your spot within 40 minutes...just like clockwork! What game fish (Catfish, in your case) wouldn’t be “licking his chops” with that tasty bait ALL in one place? I always fish at night using my Catfishing Secret Weapon to get minnows. During a period of 25 days of fishing I have caught a total of 396 crappie, 65 yellow bass, and 23 catfish. 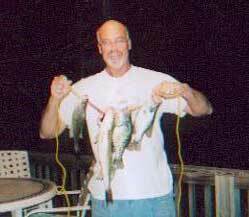 During a period of five months (April thru August) while fishing on Toledo Bend Lake I caught a total of 998 keeper crappie (minimum length on Toledo Bend is 10 inches). I have caught a lot of 15 inch and 16 inch crappie and I give all of the credit to the Catfishing Secret. 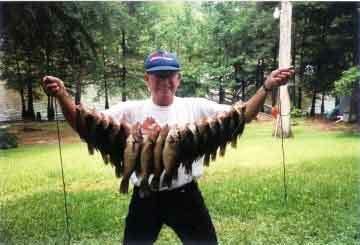 Please find enclosed some pictures of the crappie that I have caught while using the Catfishing Secret. Also enclosed is a picture of the 2lb. 19 inch crappie that I caught while fishing on Toledo Bend while using it. When you receive your "Catfish Fishing Secret Weapon", you need to find an object that you can tie it to. This could be the side of your boat, a dock, a pier, a tree, or anything else you can find. As you lower the Catfish Fishing Secret into the water and begin the process you will almost immediately notice something special will begin to happen. You'll see millions of "zooplankton" begin to collect, and then HUNDREDS of natural live-bait and game fish (like Catfish) shoot into the area, feeding! 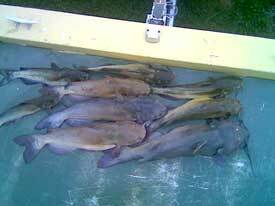 You Will Catch Tons Of Catfish In Lakes, Ponds, And Almost Any Body Of Water! Because of the scientific method that the Catfish Fishing Secret uses to swarm fish to your fishing spot,almost all types of freshwater fishermen (including saltwater guys) have reported “jaw-dropping” results! No matter where you fish, once you activate the "Catfish Fishing Secret" the zooplankton are attracted by the millions! Next come the hundreds of bait fish - and then the game fish. They all swarm to your spot, and you can catch them as fast as you can bait, cast, and reel! Using the "Catfish Fishing Secret"
I tried the Catfishing Secret this weekend for the first time on Pymatuning Lake which is located in Northwestern Pennsylvania. Everything went exactly as your articles said it would. 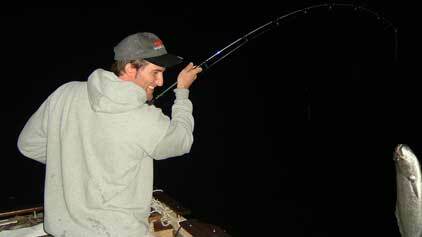 I started fishing around 11:00 P.M. and put it in the water. Within 5 minutes, small shad showed up and congregated around. Even if you are ice fishing in some of the northern states, the food chain of feeding started by the "Catfish Fishing Secret" works just as well. The swarm of feeding fish also occurs through the hottest days of summer. The science that the "Catfish Fishing Secret" uses to bring the zooplankton, bait fish, and game fish like Catfish to your fishing spot holds true in all weather conditions - in every season of the year! I used your Catfish Fishing Secret for the first time on a night fishing trip for Crappie at Lake Georgetown just West of Georgetown, Texas. We had been fishing this lake off and on for a couple of years with very little success, but your Catfish Secret made all the difference in the world. After an hour in the water, there were literally thousands of tiny bait fish and minnows swimming around the secret from top to bottom. It looked like a "primordial soup". I have never seen anything like it in all my fishing experience. Then large fish began to show up in the shadows just deep enough to see their size. 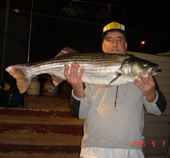 Striper - 48" long, 42 lbs., winner of the Catfish Secret fishing contest! Do You Want To Spend Your TIME Catching Catfish, Instead Of Just Looking For Them? Problem solved! The Catfish Fishing Secret will make sure that your time is spent fighting the biggest catfish in your spot, rather than fighting boredom and frustration. I used it the first time, and could not believe the amount of bait fish in such a short period of time. Buying bait will never happen again, and I want to thank you. I am very pleased with the Catfish Fishing Secret, and the results have without a doubt put me on another level of fishing." We saw more minnows than we've ever seen before in the water, actually we've never seen that many at one time - ever! The Catfish Fishing Secret does work and it works well. The first thing my wife told me when we reached the shore was that she wanted to keep the Catfish Secret. So we're keepin it!" Recently I took my video camera out on the water so I could "capture" the swarm of fish on video. What you see next is the type of swarm that the Catfishing Secret brings to my spot every time - and it will work for you too! The video was taken 35 minutes after I started using the "Catfish Fishing Secret" – the fish were already swarming around the boat! It will work for you too. And once the swarm builds up, the bigger Catfish will be on your bait like “white on rice”! I must admit that I was a little apprehensive about using your Catfish Fishing Secret, and had in fact gotten my share of good-natured kidding about buying this strange looking "secret weapon". My four companions were kind enough to avoid calling me a sucker, but I felt that they were thinking the thoughts and chuckling to themselves. As darkness approached we found a channel about 4 to 5 feet deep. In went the Catfish Fishing Secret, to a cheer and mock applause. "Dan - I had just dropped the Catfish Fishing Secret in the water and within an hour there were bunker swarming around the boat. I was able to scoop up a couple with my bait net. I baited up with one and dropped it to the bottom. It sat for a couple of minutes with the bail open, all quiet. Then I closed the bail and slowly lifted the pole to see if I could feel any hits. Instantly I felt that striper whack that bunker. Seemingly as soon as I slowly moved that bait, He hit it, and hit it hard!" These are the exact bait that Catfish (and other game fish) feed on naturally. So, not only are you swarming BIG Catfish into your fishing spot, but you are able to serve them fresh bait fish of the exact kind they normally eat! This natural bait will be IRRESISTABLE to Catfish, especially when caught up in the feeding frenzy. Once they bite down on the “wrong bait” (the one on your hook), you’ve got him! Until I got the "Catfish Fishing Secret” I would spend $26 to fill up my bait container EVERY TIME. Now, I spend exactly $0 on live-bait. I catch it all myself with the Catfish Fishing Secret, saving me A LOT of money over time. Even if you spend only HALF of what I did on bait ($13), you would only need to go fishing with the Catfish Secret about 15 times to get back your investment. Last night we were out in the sea, and I was happy to see for myself the swarming bait fish. Using the Catfish Fishing Secret, I really catch more fish! It Is So Easy To Catch Live Bait - Watch This! Imagine how quickly you can catch bait using a larger net, or even a "throw" net. You will be able to catch all of the bait that you need in minutes! The "Catfish Fishing Secret Weapon" was first discovered in 1947 and has been kept a secret by a small group of fishermen for over 50 years - because it is so powerful. Not only are they "Made in the U.S.A" with high-grade, industrial strength materials - but certain combinations of materials are required to create the largest swarms of fish. A cheap knockoff product just wouldn't cut it - and would completely ruin the credibility of the "Catfish Fishing Secret". That is the reason why the "Catfish Secret" still needs to be protected from being shown on the Internet. I am content to sell them slowly to the lucky 1% of fishing insiders through this website - and the few small shops who offer it around the country. The Catfish Fishing Secret is NOT an over-priced computer fish finder. These will bring some fish, sometimes…however, they do not bring the sheer numbers of swarming fish like the Catfish Fishing Secret does. The Catfish Fishing Secret HAS NOTHING TO DO with your rod, reel, or fishing tackle. 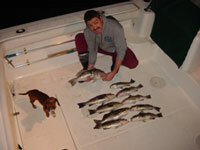 "I am a owner/operator of a fishing charter service. 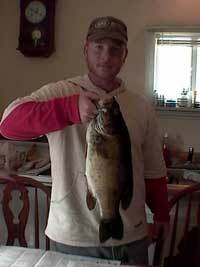 Nothing even comes close to the bait attracting power of the Catfish Fishing Secret. It does attract bait and fish like a magnet! We often catch all of our bait in one or two throws with a throw net. It has saved me Endless Hours of netting bait. It really boils down to having the right tool to get the job done!" 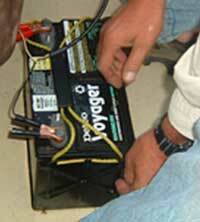 Important: Need a battery? Get one in our "Catfish Fishing Secret" gold package offer here. You will not find the Catfish Fishing Secret in more than a handful of specialty fishing shops throughout the country. It has been so closely guarded since 1947 that only 1% of fishermen are even aware of it! Easy Catfish Secret set up, the fish will be swarming in no time! "Catfish Fishing Secret Weapon" Today! You will at least DOUBLE your catches using this amazing fishing weapon from 1947! Once you start the food chain feeding cycle with the "Catfish Secret", you will catch Catfish (and other game fish) one after another - it works for me and over a hundred other fishermen! Save hours of your time - no longer do you have to spend hours finding the Catfish - using the "Catfish Fishing Secret" you can bring hundreds of fish to YOU in less than 40 minutes, every single time! You will protect your "Catfish Fishing Secret" with the industrial-strength carrying case, built to last a lifetime. It is easy to transport, and protects your investment when in storage. You can't get the "Top 10 Evening Fishing Discoveries" anywhere else! It is only available when you sign up to receive the "Catfish Fishing Secret" package. These discoveries are the perfect compliment to the Catfish Fishing Secret. The book is YOURS TO KEEP as a FREE GIFT even if you decide not to keep the Catfish Secret Weapon. When you sign up for the "Catfish Fishing Secret" package, I will personally pay the $49.00 in shipping fees to have this amazing fishing secret at your door in 5-7 business days. When you sign up today, you will get the Catfish Fishing Secret in time to start your 90-DAY TRIAL RUN next weekend! Then you will be able to SEE FOR YOURSELF the frenzy of Catfish that will swarm to your favorite spot - ready to murder your bait! Full 1 year warranty on all parts and full operation of the "Catfish Fishing Secret". I am currently waiving the warranty fee for my Internet customers only as part of my marketing test. Each Catfishing Secret is fully tested before I ship it to you. There has been only ONE defect in over 2 years of selling the product locally. I honored the warranty and repaired it for him at NO CHARGE. This guy was so desperate to get it back that he called me for 3 days straight until he received his fully repaired Catfish Fishing Secret. It is just more proof that once you use the Catfish Secret it is hard to ever go fishing without it. I am not going to send you the "Catfish Fishing Secret Weapon" and leave you "hanging out to dry". I don't work that way. Catch tons of Catfish, by swarming hundreds of them to your spot using the "Catfish Fishing Secret Weapon". Save hours of your time, you won't have to play the waiting game, going from spot to spot - you will be able to bring the Catfish to you! I wish I could see the look on your face the first time you use your "Catfish Fishing Secret" and see the water come ALIVE with hundreds of feeding fish! So do you think I’m going to ask $495 for the “Catfish Fishing Secret”? 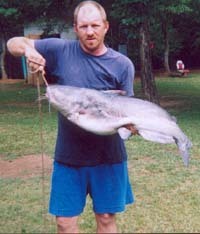 The average life span of the “Catfish Fishing Secret” is 2000 fishing trips (over 10,000 hours)! At the low price of $195, you are literally spending just a DIME per trip! Imagine being able to pay 1 measly dime each time you go fishing to double your Catfish catches, and get all of the bait you could ever use! All you have to do is use a net to scoop it up from the huge ball of bait that will mass to your fishing spot. In 6 – 12 months of solid fishing, your Catfish Secret Weapon will pay for itself with all of the live bait you catch. That would not only hurt my business, but would also ruin the credibility of the "Catfish Fishing Secret". Not only are high quality materials needed to produce it, but a delicate balance of these materials are needed to give the "Catfish Fishing Secret" maximum fish attraction. Once you have filled out the information I will send it out to you right away! You will get a receipt for your order, and will receive your "Catfish Fishing Secret Weapon" package in just 5-7 business days! If you still have any hesitation of ordering online, click here to send a check or money order for the Catfish Secret Gold Package. You can also click here to send a check or money order for the Catfish Secret Basic Package. Make sure to do it *NOW* to make sure you get a "Catfish Fishing Secret" before all 200 are gone. If I receive your check or money order too late, I will send your payment back to you immediately. The "Catfish Fishing Secret Weapon"
The "Catfish Fishing Secret" is doubling catches for over 100 fishermen all over the world. I am going to send you this powerful fishing weapon right now so you can start catching tons of Catfish (and other game fish) just like them. 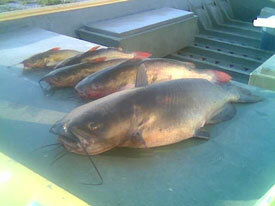 "As a licensed fishing guide, I find the Catfish Fishing Secret invaluable. It saves me a lot of time and backbreaking work, and time is money. It's one of the most valuable pieces of fishing equipment I own!" Thanks for the prompt response! Once again that is just another link in the chain that seals the deal (so to speak) in the trust department. It takes a man of his word to be that sincere and professional to take the time from his busy day to write an E-mail to a single individual. I appreciate all of your help, you didn't have to do that for me, that is yet another true sign of a sincere business professional. I feel quite sure that you will do extremely well with your Catfish Fishing Secret if you continue to treat your customers with that type of respect..."
Don't decide whether you want the "Catfish Fishing Secret" now. Just take 2 minutes and sign up for the "Catfish Secret" package right away (to make sure you get one before it's too late). Then decide if you want to keep it after you have put it to the test for up to 90 days (3 full months!). This may be your last chance to have one of your own. That is why you need to ACT NOW and sign up for the Catfish Fishing Secret 90-Day Money Back Guarantee. Then decide if you want to keep it. I appreciate your business today, and can't wait to send it out to you immediately. In just a few days you will see for yourself how many more Catfish you will catch from the swarm of hundreds! P.S. When you use the Catfish Fishing Secret, you will be amazed by the swarm of fish it will bring to your fishing spot. It is the most powerful method of starting a feeding frenzy right in front of your eyes! Click here to order and take advantage of my 90-Day 100% Money-Back Guarantee, from the secure server! P.P.S. For just $.10 per fishing trip (that’s right, a DIME), you will be the envy of all your fishing buddies. And with the 4 FREE GIFTS - “Top 10 Evening Fishing Discoveries”, The Catfish Secret Carrying Case, Free Shipping, and 1-Year Warranty included, you will get the most out of your investment. It has happened a hundred times . . . the skeptics turn into believers when they open up the shipping box and see the “Catfish Fishing Secret” for the first time. Just wait until you TRY IT! Thank you a gazillion times for helping me when the Catfish Fishing Secret package got damaged and you sent us a replacement. Thanks for your prompt call returns and your magnificent customer service. The moment I talked to you I told my family not to worry, you sound professional and caring for your customers. We went camping and fishing to San Luis reservoir in Los Banos California and tried it for the first time. 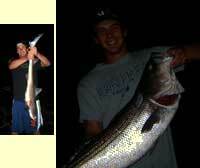 We got more than we dreamed of - catfish and striper. It was crazy, we had to release many of them since we had our limit. 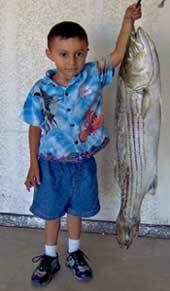 My kid will never forget this night - fishing from the bank with plastic lures and live bait. The action was great! My kid was trying his new pole, good drag and 15 pound test line with a wire leader. We fished for 1 1/2 hours with constant action. It took 35 minutes to bring this one to shore, and every one had to help (my wife and son included). Thank you for selling me the Catfish Fishing Secret..."
"Mr. Eggertsen, this is Mr. Lee and I am calling to personally thank you for introducing me to the Catfish Fishing Secret, this thing really works! I have a friend that was curious about getting one also..."